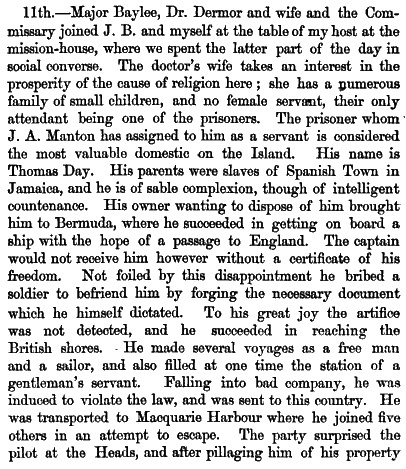 Born enslaved in Spanish Town, Jamaica, Day managed to get a passage to England where he worked as a cook and servant before being arrested and sentenced to seven years transportation at Maidstone Assizes in 1820. Day was transferred to Port Arthur when the notorious Macquarie Harbour penal station at Sarah Island on Tasmania‟s west coast was closed in 1833. - the picture here is just of 'a ship', possibly like ships that transported convicts to Australia in the early 19th century; I have found no picture of the Countess of Harcourt, which carried Thomas Day and 171 others to Tasmania in 1821. On her maiden voyage as a convict ship in 1821, Bunn took her out to Hobart from Portsmouth in 99 days, and if contrary winds had not held her up for two days after entering the Derwent she would have anchored off Hobart 97 days after leaving England. At that time only one other convict ship had gone out to Hobart from England in under 100 days, and not until 1837 was the record of 99 days bettered. The Countess of Harcourt embarked 172 male prisoners and departed Portsmouth bound for Van Diemen's Land in April 1821. Diary of Governor Lachlan Macquarie. This Ship sailed from England on the 20th. of April – having had a remarkable quick Passage. 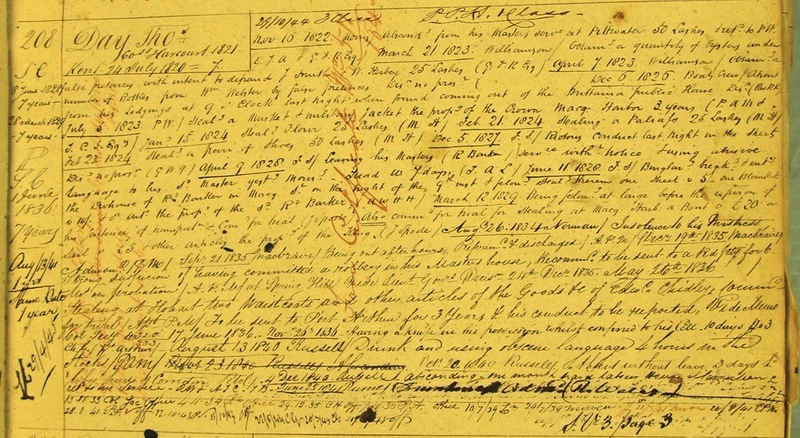 On 25 July 1827, he had received a free certificate on expiry of his original sentence; however, Day received a sentence of 7 years from Hobart Town Supreme Court on 8 June 1828, and a further sentence of 7 years from the same court on 28 March 1829, following his participation in a daring escape attempt from Sarah Island, On 13 August 1841, Hobart Town Supreme Court imposed two further extensions of sentence of one year each on him, He was not a free man again until 1845, 25 years after his original sentence of transportation. 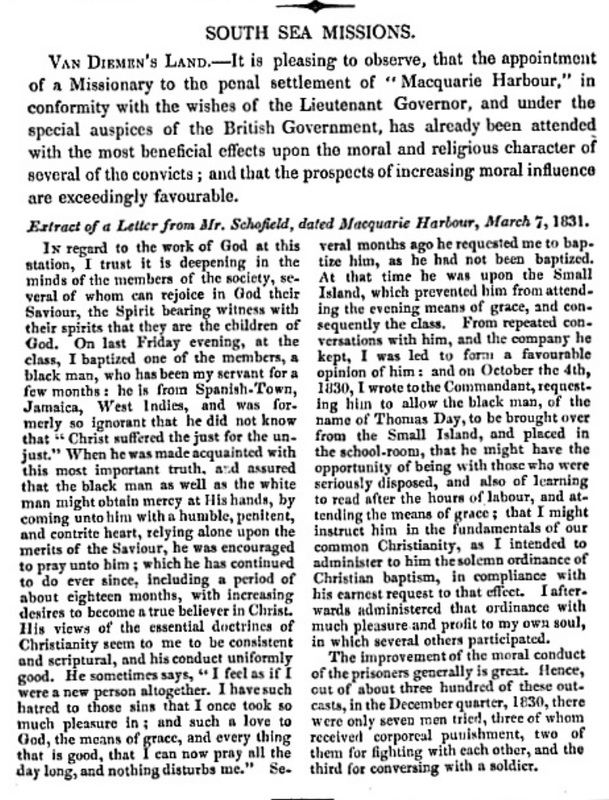 Thus, Thomas Day's ultimate freedom came 11 years after the 1834 emancipation of slaves in the British Empire would have granted it, had he remained in the West Indies. Macquarie Harbour Penal Station, situated on the west coast of Van Diemen's Land, operated between 1822 and 1833. 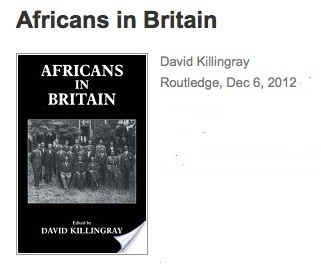 It was one of a number of sites of secondary punishment established following the publication of the influential Bigge Report. In total just over 1150 prisoners served time at Macquarie Harbour, of whom fewer than 30 were women. The main settlement was located on Sarah Island, but there were many outlying stations and the penal station as a whole covered a vast area. 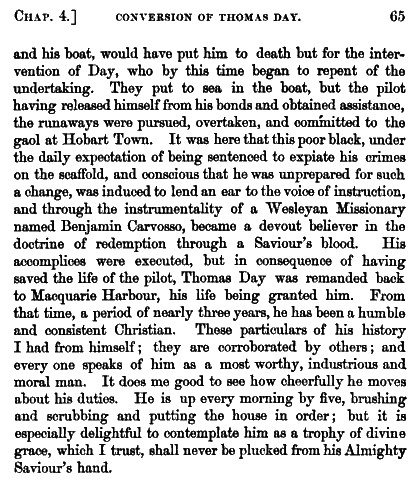 Convicts were sent to Macquarie Harbour for a wide range of reasons. 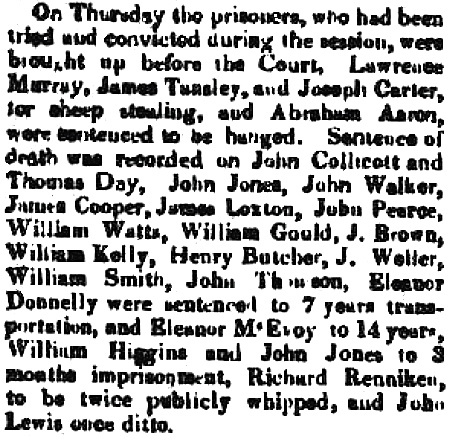 About half had been sentenced to secondary transportation for theft, robbery, fraud or receiving, committed while serving their original sentences in Tasmania. Nearly thirty percent were absconders, apprehended as far away as Bombay, Mauritius and Britain. Others were sent directly from newly arrived transport ships or from the hulks in Bermuda for engaging in mutinous conduct. Port Arthur Penal Settlement, named in honour of Lt-Governor George Arthur, began life in 1830 as a punishment-oriented timber station. 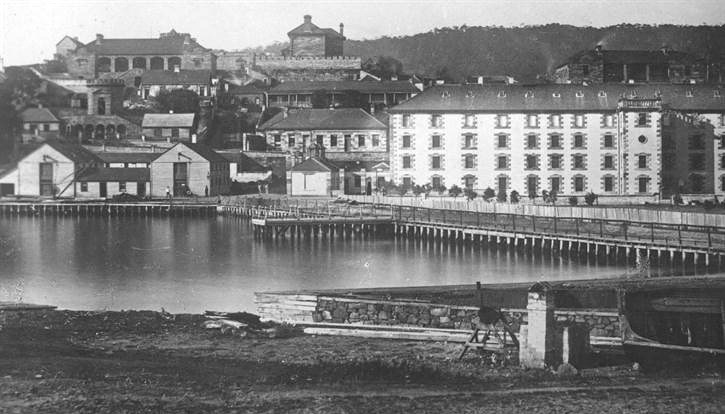 With the progressive addition of further industries, tailored for heavy and light labour, Port Arthur held a key position within the colony's judicial system until its closure in 1877. Replacing Macquarie Harbour and Maria Island as the primary source of secondary punishment, Port Arthur's 47-year operation was due largely to its geographical isolation and the availability of natural resources. Chief among these was timber, and harvesting was carried out until the 1870s. Scattered outcrops of sandstone and dolerite provided other materials for construction, tracts of land stretching back from the cove providing agricultural and farming land for supplementing rations. 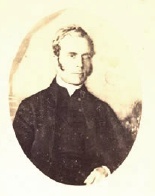 Port Arthur achieved prominence under the regimented governance of Captain Charles O'Hara Booth (1833-44). During his command, convicts experienced a system of administration based on corporal punishment. Overseers and constables relied upon the threat of the cat-o-nine-tails, irons or sensory deprivation in solitary confinement, with extreme offences tried in Hobart. The daily work of the convicts ranged from ganged labour, including timber-getters in irons, and unironed garden gangs, to relatively skilled labour in the shipyards or artificers' shops. Combined with scholastic and religious instruction, the labour was designed to provide an avenue to reformation, as well as to improve the economic returns of a large and expensive settlement. Both imperial and colonial governments were preoccupied with making Port Arthur self-sustaining. 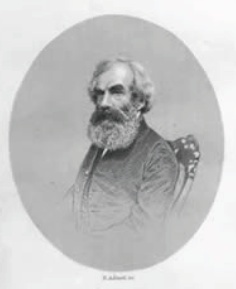 The governance of JH Boyd (1853-71) saw the station reach its maximum operational and geographic extent, as agriculture and timber harvesting increased. The station's workshops housed blacksmiths, shoemakers, tailors, basketmakers, carpenters and stonemasons. Changes in English penology had seen the 1842 completion of Pentonville Prison. This marked a shift in the treatment of refractory convicts as emphasis moved from punishment and reform through physical subjugation, to psychological control. This was reflected at Port Arthur in the 1848 cessation of flogging and the construction of the Separate Prison in 1850.